The wall sticker by Sebra is part of the Farm Collection. The sticker is a scale that follows in a really nice way the development of the child. The variant for boys is a flying kite in blue next to a blue cloud. On the string with five different coloured bows, is an integrated scale from 0-139 cm. The sticker can be stuck on all smooth surfaces and be easily removed when needed. The height measurement is available in two different versions - for boys and girls in two different colours. Single image of the Farm wall sticker / height measurement 0 - 139 cm by Sebra for boys A flying kite with a built-in scale can be seen on the string. The wall stickers with integrated scale for boys from the Farm Collection by Sebra accompanies your little one playfully and decoratively while growing. 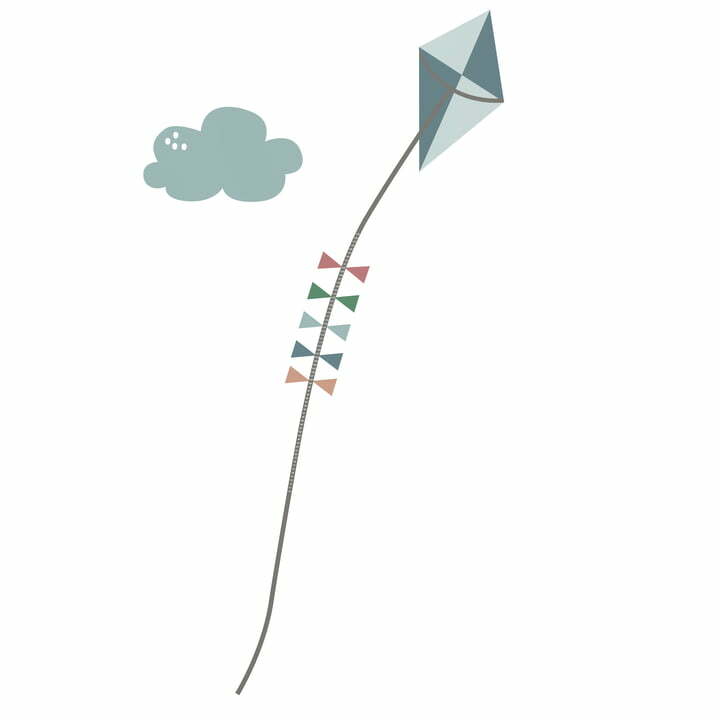 In the variant for boys is a flying kite in blue with a blue cloud. On the string with five different coloured bows, is an integrated scale from 0-139 cm. The various shades of blue on the wall stickers from the bedding and the storage basket of the Farm collection for boys bySebra harmonize with the simple, white Kili crib.